I recently completed a rather unique stair design for a client. The client had completed an addition to their home, but during construction the client determined the stair, which led to a loft area, was not the design they wanted and therefore it was not built during the addition. After looking at the space and discussing different options, a floating stair design was selected by the client. The stair was constructed of steel treads covered with a wood veneer cantilevering from a steel tube stinger. The stringer was not set in the wall, as typically done, but set on the face of the wall based on preexisting conditions. 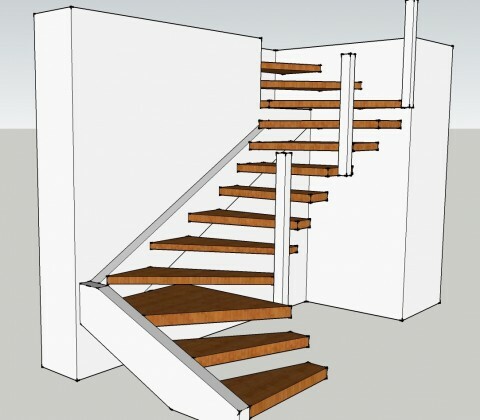 Do you have a unique stair design or need some ideas? Contact EVstudio.